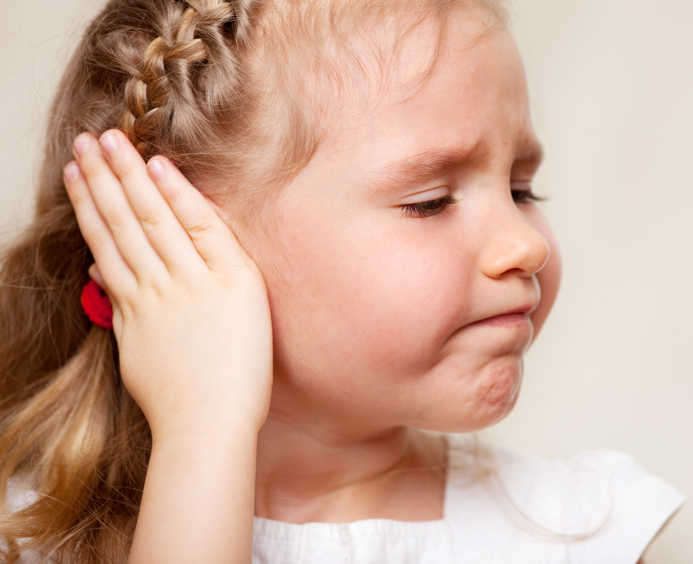 Persons of all ages can experience hearing loss – even children. Approximately 3 out of 1,000 babies are born with some degree of hearing loss. Not only can children be born with a hearing loss (congenital hearing loss), children can experience delayed onset hearing loss (occurring sometime after birth) or progressive hearing loss. If you’re concerned about your child’s hearing, schedule an appointment with an audiologist as soon as possible; early intervention is key in preventing learning and developmental delays in speech and language development. Does not react to loud noises as you would expect. Inconsistent or limited response to your voice. Delayed speech and language or limited vocabulary. In addition to those warning signs, there are certain risk factors that make your child more likely to have hearing loss. Risk Factors for permanent hearing loss: A blood relative with permanent hearing loss. Acquired hearing loss may be caused by maternal illness or childhood illness (congenital CMV, measles, mumps, meningitis), high fever, head trauma or ototoxic medications. Structural malformations of the inner ear may cause congenital or delayed onset hearing loss. Genetic causes (e.g., hearing loss associated with certain syndromes or hearing loss passed from parent to child). Hearing loss in children can also be temporary, typically caused by a mechanical problem such as impacted wax or middle ear fluid and/or infections. It’s crucial to treat hearing loss in children as soon as possible – the earlier your child receives help, the better the odds of them acquiring speech and language. Let your child’s doctor know if you have any suspicions about a hearing loss. If your child suffers from frequent otitis media, ear tubes are often inserted to allow fluids to drain and prevent the ears from becoming infected. For children already suffering from hearing impairment, options for treatment include hearing aids, cochlear implants and other devices that help your child communicate effectively. Call Tucson ENT Audiology at (520) 777-0495 for more information or to schedule an appointment.